¡Bienvenidos! (Welcome !) In our first lesson, you’ll master the building blocks of Spanish. First, you’ll discover how easy it is to spell and pronounce words en español. After that, you’ll learn how to count from 0 to 19. La familia is central to Latin American life, and knowing “who’s who” can be a big help when you’re talking with witnesses, crime victims, or suspects. Today you’ll learn the Spanish words for family members, and pick up some easy conversational phrases you can use every day on the job. In addition, we’ll talk about pronouns and explore the role of gender in Spanish. What color was the suspect’s car? Which way did he go? How fast was he driving? 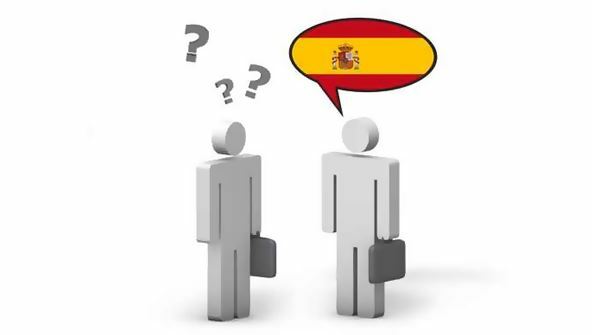 After today’s lesson, you’ll be able to answer all these questions easily en español. We’ll start by talking about the Spanish words for colors, and then move on to directional words (with some prepositions thrown in as a bonus). After that, you’ll learn how to count all the way to 199. Law enforcement professionals are always on the go—so you’ll want lots of action words in your Spanish vocabulary. To help you use Spanish verbs easily, I’ll introduce you to my simple conjugation system that uses only three tenses (present, easy past, and easy future). In addition, we’ll look at two interesting verbs that mean “to be:” ser and estar. Asking questions is a big part of your job, and today you’ll find out how to query your witnesses or suspects en español. After that, we’ll look at powerful words for describing objects, people, and feelings. And in this lesson, you’ll master the very important little word hay—something you’ll definitely want to add to your repertoire. In this lesson, we’ll add more high-octane words to your vocabulary for talking about people. You’ll learn how to describe their ages, their hair colors, their ethnicity, their legal status, and even what they’re wearing. In addition, we’ll talk about the weather en español. I’ll also introduce you to four handy little words—este, esta, ese, and esa—that will help you stretch out your sentences. Whether you’re taking dispatch calls or walking a beat, you need to be familiar with your neighborhood—so today, we’ll tour the buildings and places in a typical town. In addition, we’ll explore a house inside and out, and take a look at the objects you’re likely to find there. And we’ll talk a little about weights and measures, including the metric measures many Spanish speakers use. Today’s topic is professions—both legal and illegal. We’ll start by looking at Spanish words for emergency responders and law enforcement professionals. After that, you’ll meet some additional professionals and learn their names en español. Next, we’ll investigate words for criminals and check out the weapons they’re likely to use. And just for fun, we’ll talk a bit about Spanish first and last names—which can be pretty confusing when you’re trying to file paperwork. Speeders, drunk drivers, red-light runners—you’ll meet all of them in this lesson. We’ll begin with a quick look at words for describing drivers who are under the influence of alcohol or drugs. After that, you’ll discover lots of phrases to describe specific traffic violations. We’ll also explore the names for different types of vehicles, and you’ll learn one word you won’t want to use to describe people who break the rules of the road. At a crime scene, you often need to talk firmly to suspects and witnesses. Today, you’ll learn lots of useful commands for getting people to do what you want—from polite commands like “sit down” to forceful ones like “Up against the wall!” In addition, you’ll find out how to describe your actions when you’re giving a citation, arresting a suspect, or administering a drug or alcohol test. And finally, we’ll practice saying that all-important Miranda warning in Spanish. In your job, you’re likely to encounter all sorts of medical crises—from heart attacks to gunshot wounds and broken bones. In this lesson, you’ll learn Spanish words that can help you deal with common medical conditions like these. We’ll also touch on the topic of direct object pronouns, and we’ll add to your repertoire of commands for emergency and non-emergency situations.